The Miami Hurricanes and the Duke Blue Devils will on Friday at Wallace Wade Stadium. Both teams are undefeated and have played pretty good early in the season. ESPN will televise the game nationally. Kickoff is set for 7 pm EST. Duke-Miami is the first ACC game of the season on a Friday night. It features two undefeated teams that have aspirations to win the Coastal Division of the ACC. Oddsmakers have the Hurricanes as 5-point favorites. The total is 55. The last time these teams met at Durham, in 2015, the game produced one of the wildest finishes in college football history. Miami was playing its first game under interim coach Larry Scott, and the Hurricanes won 30-27. They won the game on a 91-yard kickoff return that featured eight laterals as time ran out. Last time out for Duke, they were a 27-17 winner as they battled the North Carolina Tar Heels on the road. Duke covered as a +1.5-point underdog, while 44 combined points moved the game UNDER for totals bettors. Duke quarterback Daniel Jones is in his second season as the starter. He has passed for 904 yards this season. Jones has completed 61.9 percent of his passing attempts with only two interceptions. He has rushed for 141 yards this season. Jones also has the ability to put the ball where he wants it. Jones has found a nice target in T.J. Rahming. He has 24 receptions for 248 yards. Miami was a 52-30 winner in their most recent outing at home against the Toledo Rockets. They covered the -13-point spread as favorites, while the total score (82) made winners of OVER bettors. 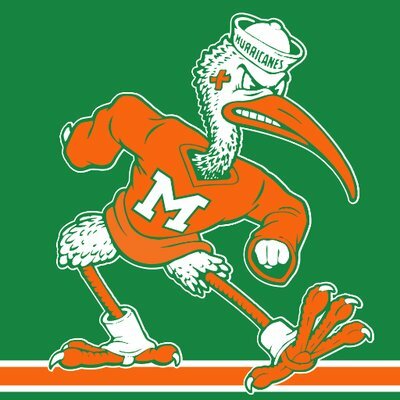 Malik Rosier has passed for 550 yards in two starts this season. He had 333 last week against Toledo. Amazingly he had only 50 yards passing in the first half. Rosier has been without his potential No. 1 target so far this year. Sophomore Ahmmon Richards set a Miami freshman receiving record last year. He has been out with a hamstring injury. Richards could return this week. Rosier has a huge weapon in running back Mark Walton. He ran for a career-high 204 yards last week. He has rushed for 352 yards on 27 carries in Miami’s two games.